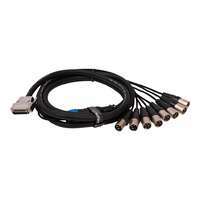 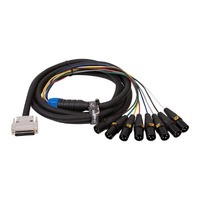 1m Length - Wired to the Tascam standard, this 110ohm DB25 to XLR male snake is designed to carry a 'balanced' version of the AES3 digital data protocol (AES/EBU), commonly used for interconnecting professional digital audio interfaces and soundcards. 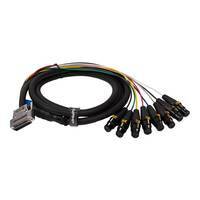 Designed to carry a 'balanced' version of the AES3 digital data protocol (AES/EBU), commonly used for interconnecting professional digital audio interfaces and soundcards. 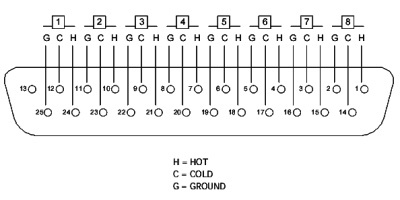 The AES3 standard is able to carry two channels of PCM audio (digital audio). 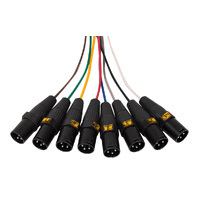 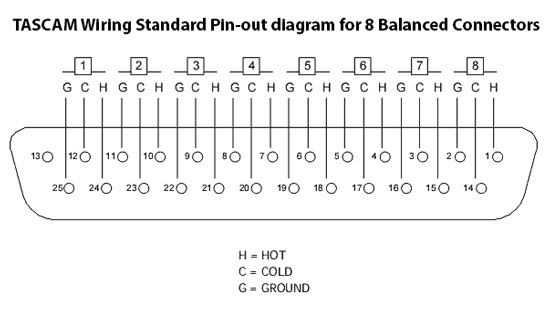 A 'balanced' AES3 connection can only be achieved using a 3pin XLR AES cable. 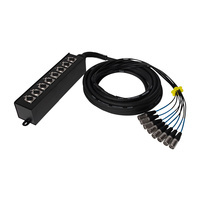 Features DB-25 multipin and 3pin XLR connectors and built from 110-ohm rated, thick OFC copper conductors suited to carrying AES (AES3) digital signals. 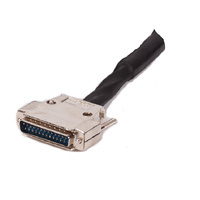 An outer BRAIDED copper shield plus inner aluminum FOIL shielding around the conductors cores ensures signal integrity and eliminates RFI and EMI interference which can result in digital syncing and word clock errors. 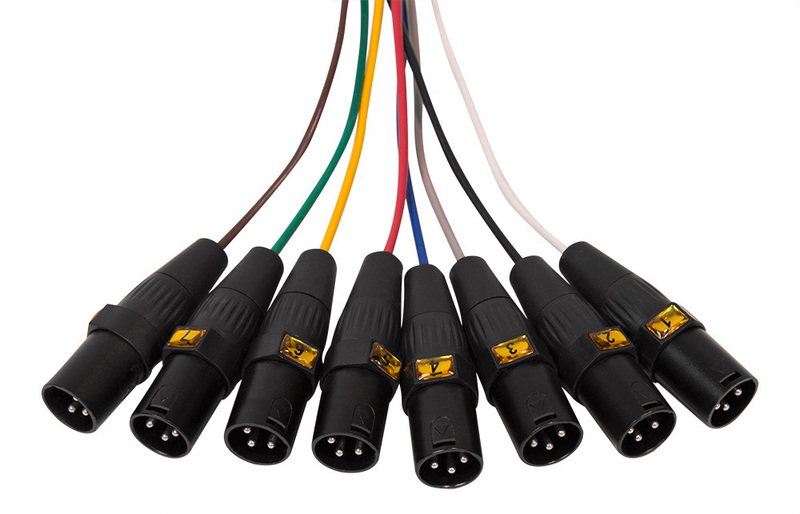 Are regular XLR microphone cables OK to use for AES signals? 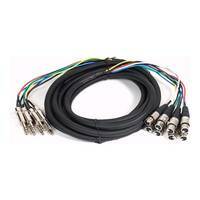 Digital audio signals are much more vulnerable to interference than analog audio signals. 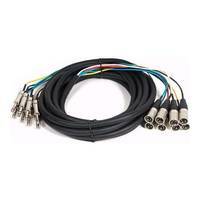 Using a regular mic cable can result in interference reaching the AES signal causing a range of digital syncing issues. 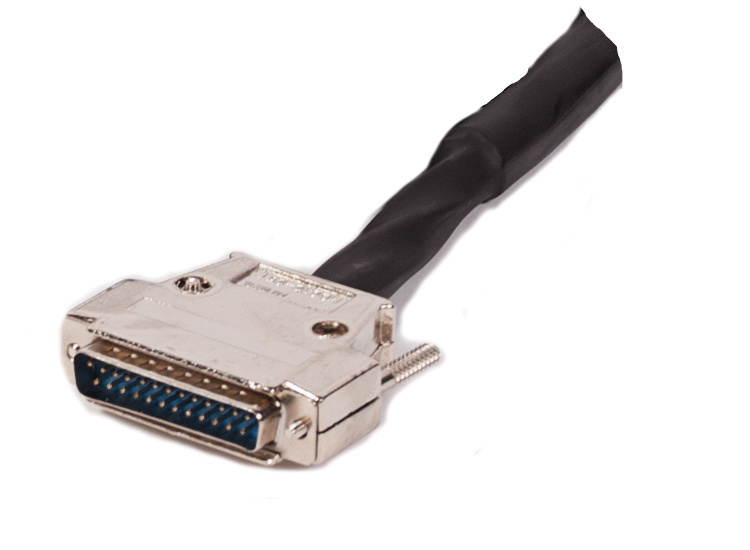 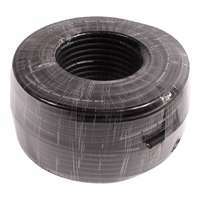 A 110-ohm rated cable with either a foil or braided shield should be used (ideally both) for AES signals to reduce the possibility of interference. 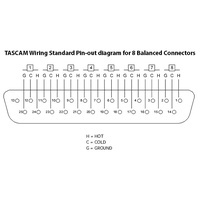 These snakes use the TASCAM wiring standard for the DB25 pin-out configuration.